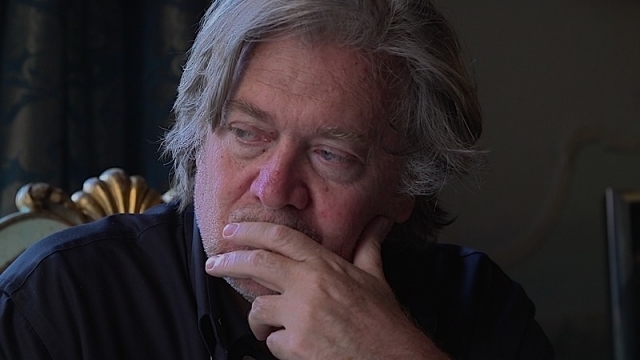 Documentary filmmaker Alison Klayman actually goes a long way in cutting through the questionable narratives, both left and right, that permeate the legend of Steve Bannon. Though she plants herself in a position seemingly favorable to progressivist rhetoric, much of which could be referred to as hyperbolic, the camera shoots numerous personal meetings that reveal such views may have some gaps in rhetorical logic. Indeed, the fair-minded Klayman conveys that astutely. One of the most telling, if not shocking, is where a journalist from The Guardian utterly holds court on Bannon during what’s supposed to be an interview. Unfortunately for the free press, it’s not really an interview, but an agenda-driven ambush. Journalism becomes inquisition and the man who is the subject of the film actually handles it with class. That said, there are a few moments in which the former Breitbart News Chair and Trump White House official loses his cool, but not any more than certain other figures on the other side of the aisle of both genders have themselves demonstrated. Klayman is not “out to get him”. She allows us to draw our own conclusions. 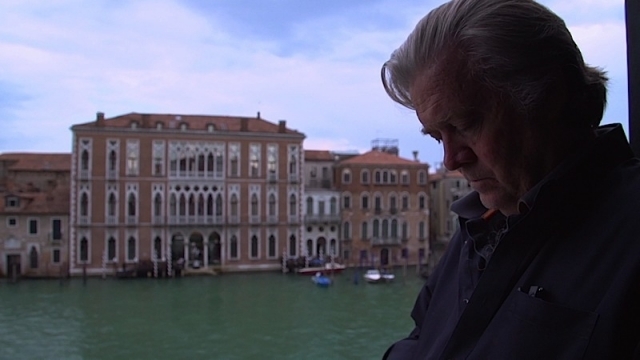 A central theme of The Brink is Bannon’s effort, which apparently is becoming quite successful, to network with populist movements and leaders in other countries. This prods the viewer to reflect on the use, stereotypical use, misuse, and overuse of such terms and words as right wing, white nationalist, fascist, hate, racist, antisemitic, and other words and configuration of words; as well as just what this terminology may or may not actually mean. Words are slippery. Klayman, perhaps unwittingly, has created an important documentary about the functions and dysfunctions of language. She compels us to look closer and these movements in order to seriously consider that there are more complex and nuanced views than those declared by such name-calling. One nitpick: Klayman glosses over the breakdown between Bannon and Milo Yiannopoulus, the libertarian gay firebrand often tarred with debatable imputations of bad faith. Whatever one’s view of him may be, Yiannopoulus for all his flair, is to be reckoned with. He must be credited with sounding the alarm about the Rotherham grooming and child exploitation rings to American audiences whose own American media avoided the story. To be fair however, Bannon has been clear in reaching out to GLBT people, which Klayman includes. His issues with Yiannopoulus are not rooted in homophobia but in other incompatibilities. And of course, Yiannopoulus is seen with as much or more disdain by the political left than the right—all of which is something in and of itself and which merits its own analysis. However, two of The Brink’s most striking components are an interview with John James we get to eavesdrop on. The 2018 African-American Republican candidate for U.S. Senate is shown as a vibrantly dynamic counterpoint to American blacks who adamantly adhere to identitarianism. 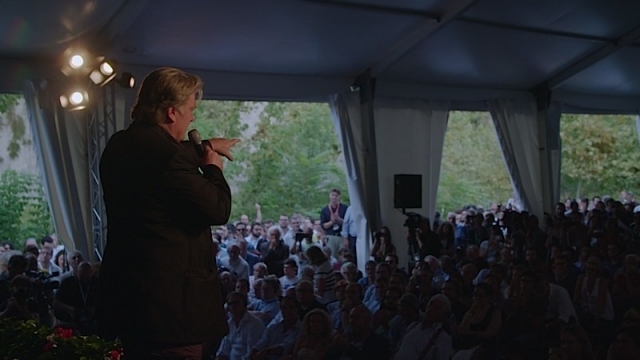 Klayman is also very clear that Bannon and the movements he supports have a large and passionate female base—something most mainstream networks fail to address. We see that there are clearly matriarchs and matrons who simply adore the man—some to a level that approaches fervency. In summation, The Brink is a shrewd and thought-provoking achievement in women’s documentary filmmaking. Klayman is a serious observer and someone acutely in touch with the pulse of our time.